Our June featured artists reimagine the world around us. 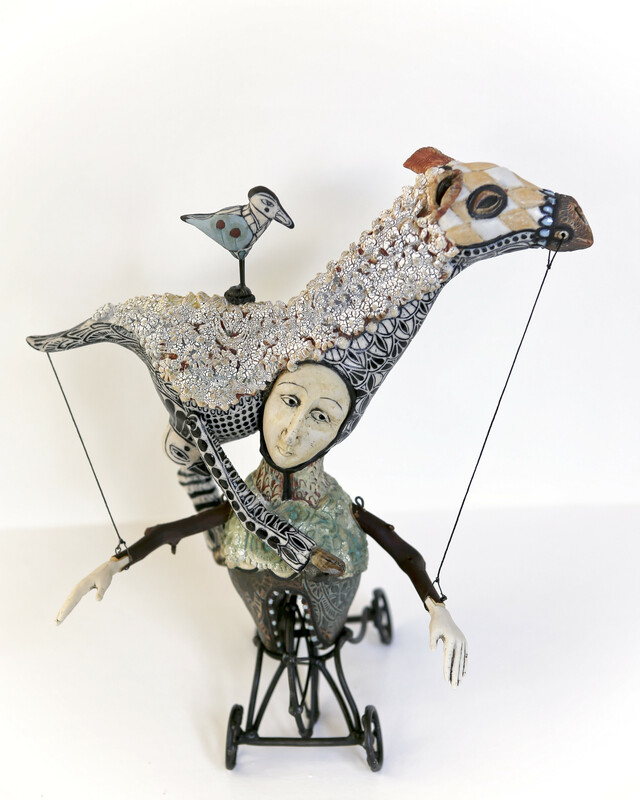 The ceramic and mixed assemblage sculptures of collaborative duo, Robin & John Gumaelius stretch the bounds of imaginative figures, embracing the theatrical and whimsical. 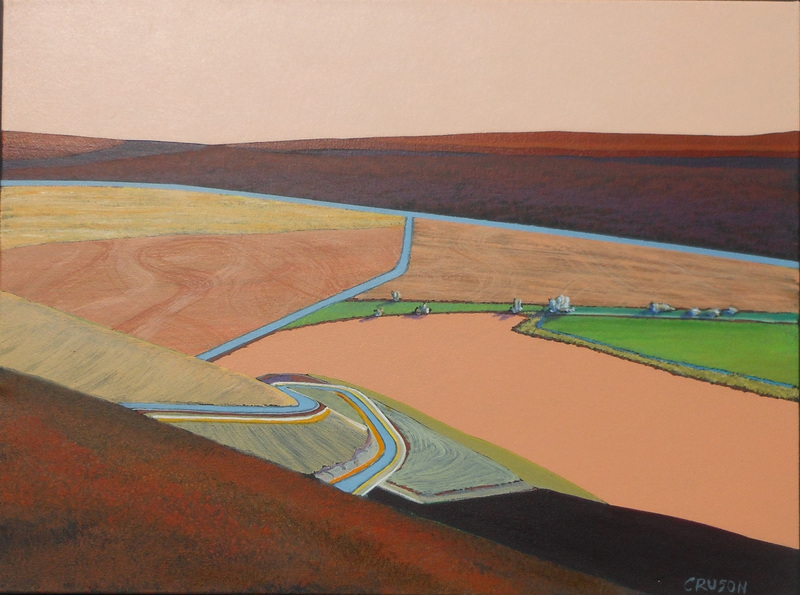 Painter, Jon Jay Cruson’s landscapes combine studies of his surroundings with color, shapes and patterns from his own imaginative vocabulary. Join us for an artists’ reception during Ashland’s First Friday Artwalk, June 3rd 5 -8 p.m.
JON JAY CRUSON’S remarkable career takes him “where the road leads me”, with a current focus on landscape as his primary inspiration..
ROBIN & JOHN GUMAELIUS, collaborating artists and husband and wife, create animated human and birdlike sculptures. 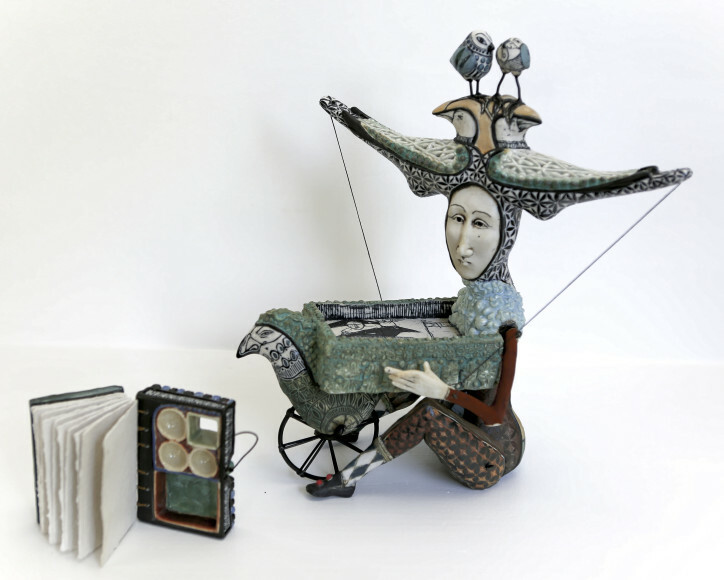 They combine ceramic, steel and wood as they form highly inventive sculptures that are often comical or bizarre. Robin and John live in a rural area in Washington State where they have built their studio, home, barn, and gardens while nourishing four beautiful children.